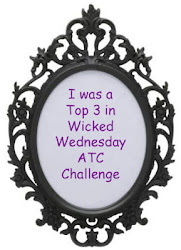 It's Challenge time over at Simply Steampunk Challenges...we are having a ripping and tearing good time and I hope you will join in for a bit of Halloween type fun and rip and tear your way to an awesome prize! 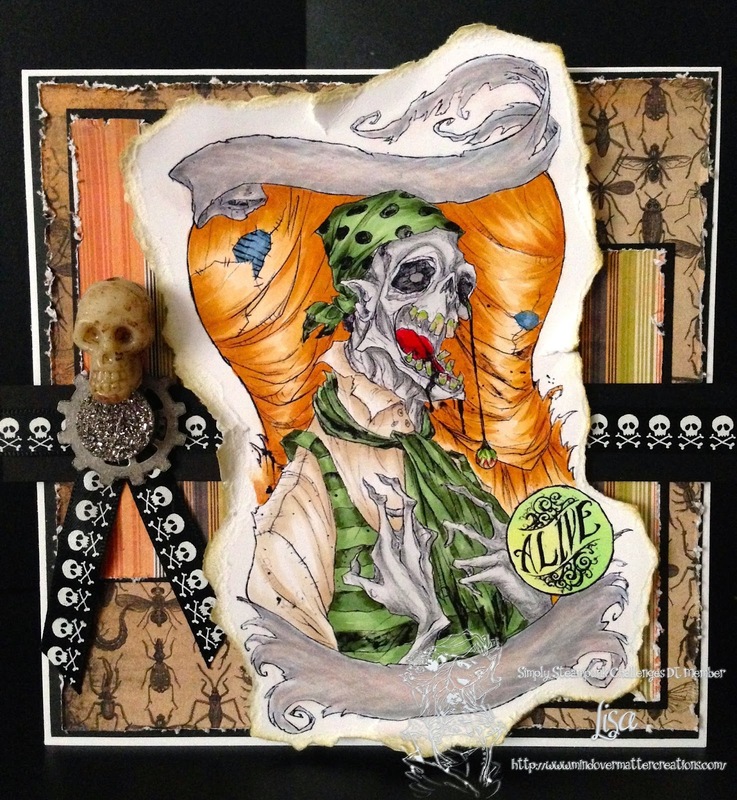 I am showing Mr Gibbs Zombie Pirate drawn by the ever talented Abigail Larson and made digital through a collaboration with Betty Roberts of Simply Betty Stamps. This image is part of a larger group of creepy zombies appropriately named Zombies & Creeps. He is colored with my Copics and the papers are from MME Wicked Merchant Malvado 6x6 pad. The embellishments are from my stash. Please grab a Steampunk image - doesn't have to be a SBS image, but it would be awesome if you did use one - follow the rules - and play along. We love to see the various creations that you all make - you inspire us! Thanks you for stopping in today and my wish for you is a blessed and creative day. Hey Jude...and the Tricksters, that is! 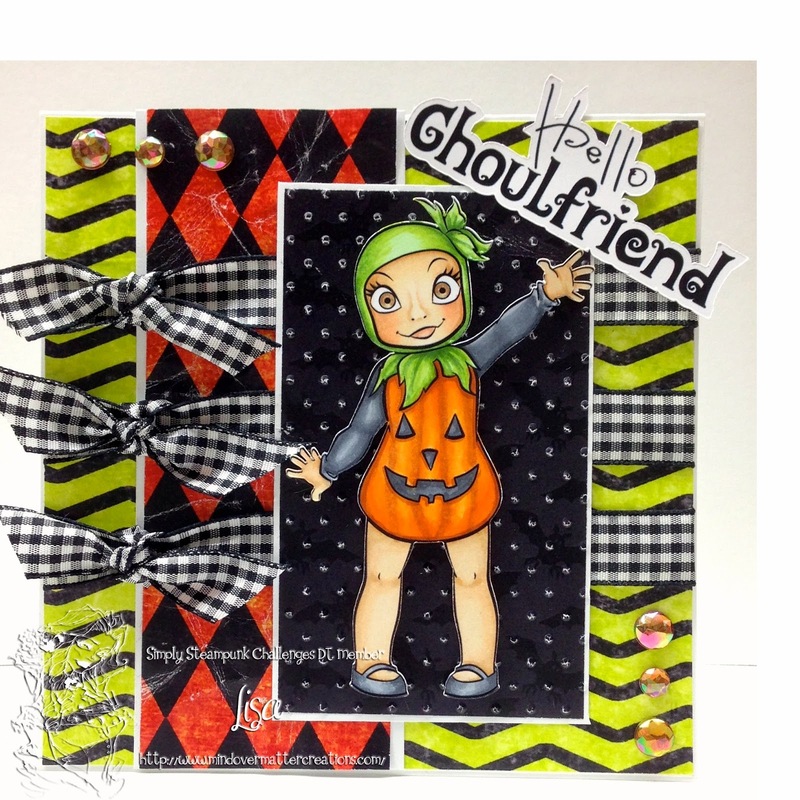 We have a fabulous new release over at Simply Betty Stamps...and it's the beginning of the Halloween Kick-Off...oh so much frightening delight in store for this Halloween!!! Aren't these just the CUTEST images??? And let's face it...there's a kid in all of us that loves Halloween candy! They were so much fun to color with my Copics and to do a print & cut with my fabulous Silver Bullet Professional. (Little secret - the sentiments are also done as a print & cut!!) 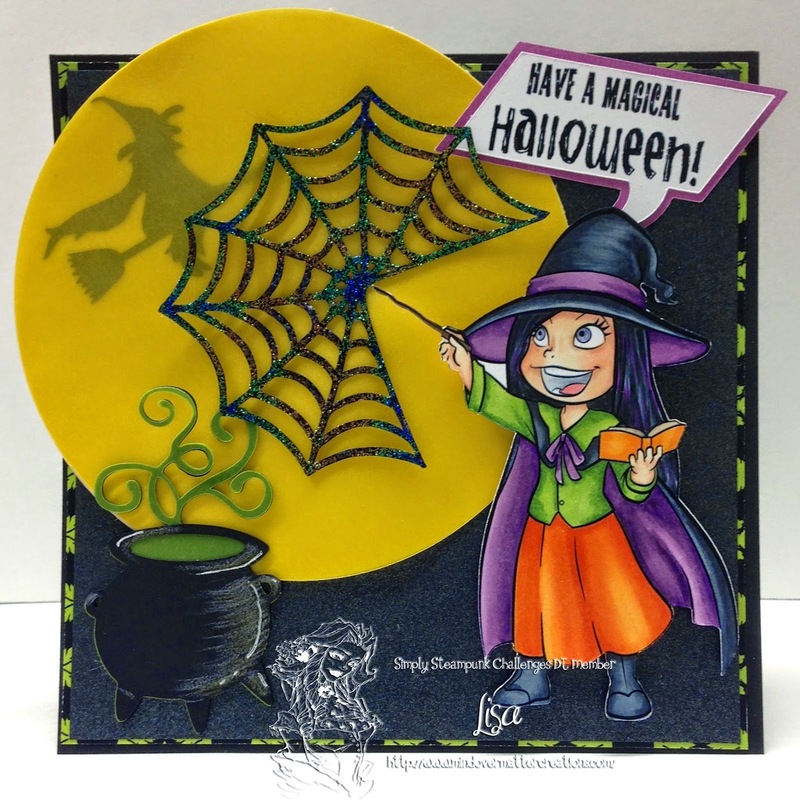 The embellishments such as the shadow witch, moon, cauldron and web were cut with my SBP as well. The papers I used were from Sassy Designs and Mambi Sheets-Me and My Big Ideas. Don't forget to check out all of the others DT's fantastic showcases of the images included in the set...you DON'T want to miss them...I promise!! After you have looked at all of the fun stuff the DT has for you...don't forget to go get your set from Simply Betty Stamps!! Thank you for stopping by and spending some time with me. My wish for you is a blessed and crafty day! Most Awesome Cutter on the Market - Check it out!! !